Peter Bainbridge was driving to work a few months ago and thought to himself “I don’t think I want to be doing this anymore”. This was the first time he’d felt this way, and he knew it was time for a change. Decision made, he put the land and buildings on the market to see what would happen. 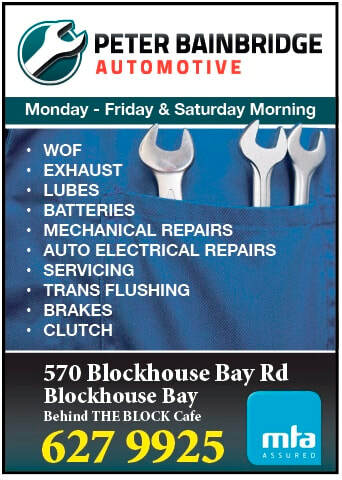 Peter has had a life-long association with the automotive repair business in the Blockhouse Bay Village. Originally, dad Harry Bainbridge ran the rear workshop for Vic Cleave. In the sixties Harry took over running the business, and at age 15 Peter started working for his dad, apprenticed to Ron Carleton. After a short stint doing earthworks he came back, then in 1979 he bought the business off Harry, and bought the land and buildings off Vic Cleave in the late eighties. Peter will have been in business 39 years this November. Peter recalls his apprenticeship with Ron Carleton: “He would put a gearbox on the bench and pull it to bits. He’d say ‘Are you watching?’ He’d explain what he was doing every step of the way, but if he thought you weren’t paying attention he’d put it all back together again without another word, and you knew you’d lost your opportunity to learn something. He was a great teacher”. “He taught us how to repair things. Young guys now are taught a lot more electrical stuff”, he says, “but we used to have to make something work and repair it because you couldn’t always get replacements easily”. Peter loves fixing things, and laments that this is no longer practical; “It’s now cheaper to buy new than repair, and you can’t buy most of the bits nowadays, anyway”, he says. Although the family lived in Sandringham, Peter has fondest memories of Blockhouse Bay where he has spent much of his life. As a wee lad his dad would bring him to work in the school holidays. Peter recalls happy times; the hire service behind the workshop, and riding along on a bulldozer with the man who was making the school field for the primary school. “You couldn’t do that nowadays,” he laughs. Peter reminisces about the various shop owners in the village: Graham Price’s whiteware, Bill Stites’ menswear, Penman’s bookstore, Mrs Taver’s shoes, Parachute shoes, Alec Mann’s paint shop, Hemskirks bakery, Mr Harnett’s hardware. “The whole community were real nice people,” he says. He recalls dreading having to go across to the haberdashery to take a message to Grenville Rusden. “None of the boys liked that job, going into the haberdashery with all those buttons and bows”, he said with a grin. With the new owner taking possession of the land and building, Peter will start a new chapter in his life late November. He is looking forward to more family time, working on projects with his kids, and fishing. Beyond that, he’s not sure what the future holds, “But it’s definitely time for a change”, he says. The planting of around twelve pohutakawa trees on the grassy area in the Blockhouse Bay Beach reserve was watched with concern by a member of the public recently. It is a valuable open space used for functions such as Christmas in the Park and Music in Parks. Large trees would make it a cold, shady area in winter. The matter was raised with Whau Local Board Chair Tracy Mulholland, who was unaware of this mistake, and after a few hours the trees were relocated. “I am pleased to see more tree planting in the community and the correction by the contractor”, commented Chair Mulholland. Ross Davidson, 26 years in the book business. ​In the seventies, Ross Davidson owned a medium size business importing mechanical power transmission products. It employed 21 people, and about 1976 was classified as one of the seven most innovative companies for the year. Then came Rogernomics, and in 1987 the business went into receivership and was on-sold. For five years Ross sold insurance and to relax after appointments would often find refuge in bookshops. He often found himself thinking “I’d like to do this”. After discussion with his wife Olena, they began a second-hand Christian book business from home. Soon business was flourishing. Olena chanced upon an ad for a shop for rent in Ellis Ave, Mt Roskill. With the house overtaken by books and customers, the timing was perfect and “Christian Books (Second Hand)” made the move. That was back in 1992. 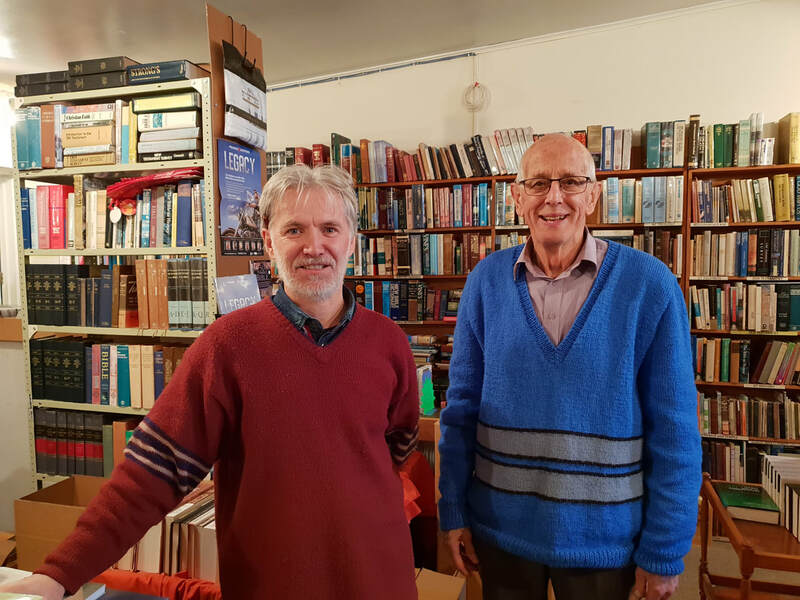 The business served a niche market providing the Christian community with a wide range of affordable recent and out of print books. 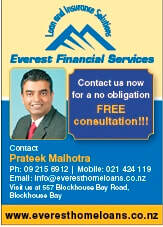 With Mt Roskill known back then as ‘the Bible belt’ the business thrived. In 2008 they rebranded as Evermore Books. 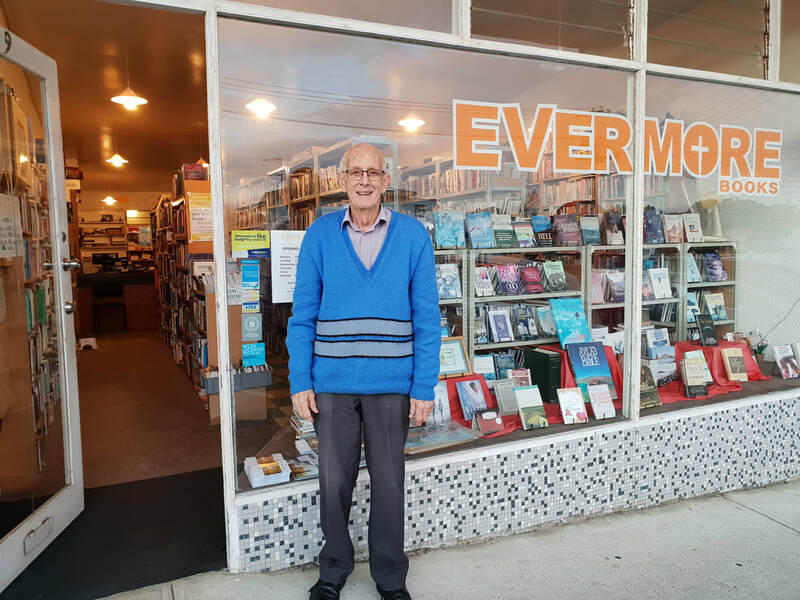 Evermore Books has an informative website, but it is Ross’ shop layout and extensive experience of books which is the backbone of the business, with nationwide and global customers calling and emailing regularly with requests. It has always been important to Ross to donate excess books to third world countries. By accumulating the savings from books donated for sale and putting towards shipping, for years he was able to send them for free. Now he makes books available to people to pick up and send themselves. Ross believes there is a strong correlation between reading and intelligence, and notes that a commonality of CEOs of large companies is that they read widely. Although advancing technology has seen the advent of e-books, YouTube and other competing media, Ross has noticed that people still prefer the tactility of books, and comments that e-book content is not remembered as well, and if read at night can disturb sleep. Ross still enjoys the challenge of business. He gets great pleasure knowing that his books are often instrumental in changing attitudes, lifting people out of depression, and healing marriages and families. Green Bay High School's founding Principal, Des Mann, has died peacefully after a stroke on 20 August, 2018, aged 93 years. There will be a remembrance on Saturday 15th September, 1.00pm in the Green Bay High School staff room. All former and founding students, friends and former colleagues are welcome to share with the school in celebrating his life. Des will be fondly remembered by former students and peers. His passion to make Green Bay High School a place where students were empowered to become lifelong learners, and to seek excellence as a whole person in every aspect of their lives - whether that be academically, socially or spiritually will not be forgotten. Founding a new school, in 1973 gave Des an opportunity to do things differently. He questioned rigid practices long accepted as part of the regime of secondary education and whether they really served the students best interests. Des was a forward thinker, not only was Green Bay High School one of the very few secondary schools without a uniform, he also banned the use of corporal punishment. During his twelve years at Green Bay High School, Des Mann’s focus was on developing the whole child rather than just an assessment of their academic achievements. Upon his retirement from Green Bay High School in 1984, Des wrote a piece for the School Yearbook aptly named 'End of An Era' where he refers to education as uncovering the 'centre' of each student - that unique combination of talents and potential which define the uniqueness of every person; towards capturing the magic and joy of what it means to be human and whole. "It is exciting, expanding and liberating...this is what education is about." Auckland Transport (AT) implemented the New (Central Bus) Network in July 2018, without the 191 route they had promised in 2016. 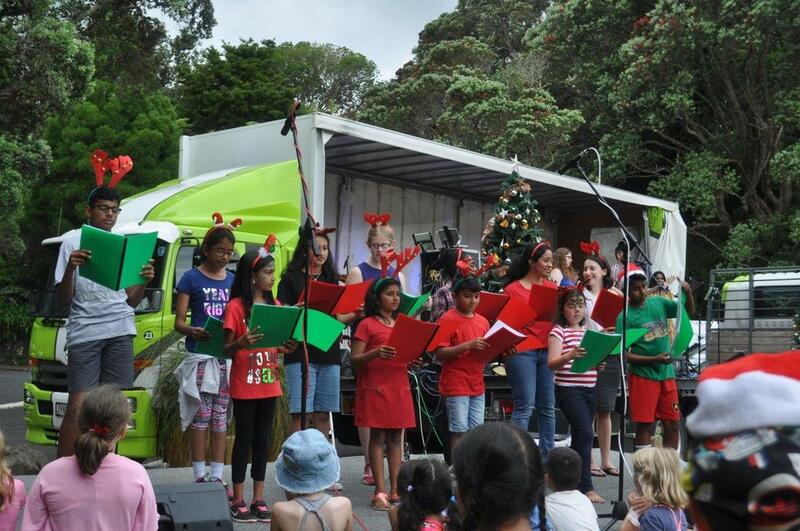 This was great news, as many years ago, when the old Auckland City was deciding between putting a new library at Blockhouse Bay or Lynfield, they had gone with Blockhouse Bay and promised Lynfield a bus link that was never delivered. 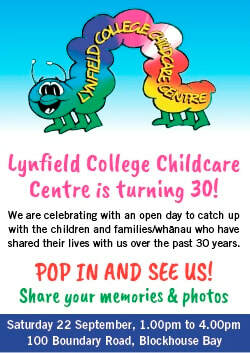 Since then, Lynfield’s population has increased and with the new Ryman’s village will grow even more. Yet with the loss of services such as banks and a pharmacy and no access to a library and civic services, this link to Blockhouse Bay is even more needed now than when it was first promised many years ago. However, AT changed their mind about the 191 route, which now will not go ahead. To get to the west Lynfield residents have to catch a bus towards the city and another back out, an unlikely scenario given the large steep hill and long walk involved which disregards people with mobility issues. It’s likely to result in some people driving more, and for others, social isolation. 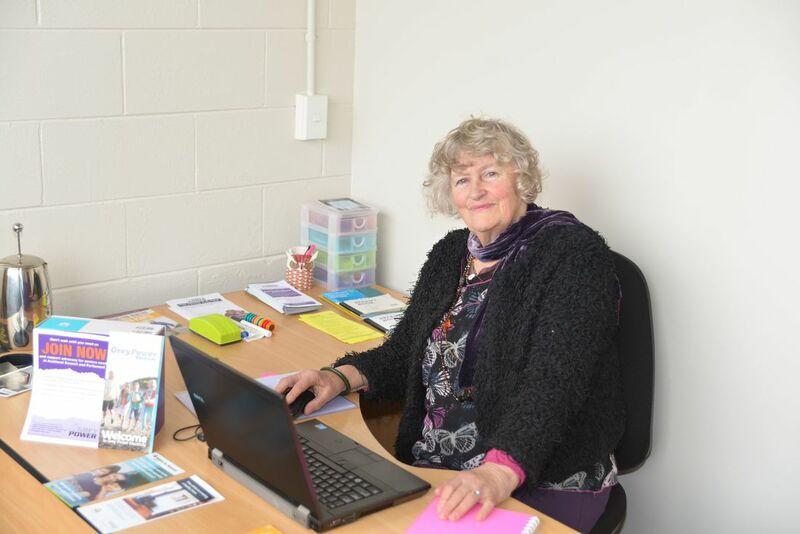 The Puketapapa Local Board and local MP Michael Wood have petitioned AT to keep their word to Lynfield and re-instate this important local service as promised. The legendary Girl Guide tradition of selling biscuits is coming to an end. 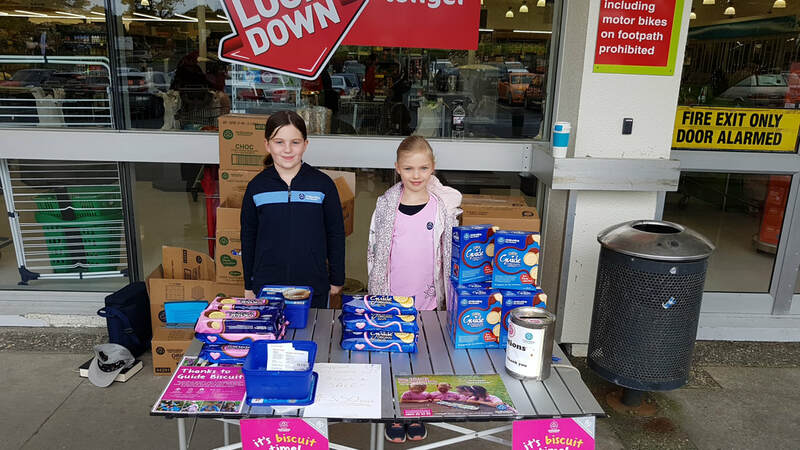 Customers were lining up outside Countdown Lynfield to buy their favourite biscuits and to donate a bit more to the Guides. The stand was ably managed by Chimay and Maia, with the support of their respective parents who helped them to relate politely to others, work out the correct change and restock the stall. Chimay (9) is with the Girl Guides at Iona, Blockhouse Bay. Her dad had also been moving plenty of biscuits at his work. Maia is with the Brownies at Iona and has been involved for about 18 months since migrating from the UK. 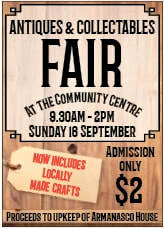 For both girls it was the first time doing a stall and they were enjoying the experience. They had also done door to door sales, but without EFTPOS it was a problem with people not having cash available to buy the biscuits. Guiding will certainly lose a lot of visibility in the community when they discontinue biscuit sales, but the parents and organisers probably won’t miss the huge commitment involved. Girl Guiding has been in New Zealand for 110 years and is the largest girl-only organisation in the country. Auckland Grey Power's Anne-Marie Coury traces her lineage to one of the original Suffragettes. Around the country this September, women and men are celebrating the historic victory in 1893, when New Zealand became the first country to allow women the right to vote. The story of the strong Southern women, and the men who supported them by wearing the white camellia and assisting with collecting signatures, still inspires us today. Auckland Grey Power President, Anne-Marie Coury traces her lineage back to her great-grandmother from Christchurch, who signed the petition (presented on July 28th) which eventually went all the way on 19th September in 1893. This was the third attempt to secure the vote; after much hard work gathering signatures, they twice had to begin again after the first two attempts were blocked by the Legislative Council. With uncanny similarity to her great-grandmother’s experience before her, over recent years Anne-Marie campaigned with other strong women; Wendy Bremner, (CEO Age Concern, Counties Manukau), Dr Judy Blakey and Janet Clews on the Senior’s Panel, to gain support for Auckland Council to join the UN Network of Age Friendly Cities. After a previous attempt to pass a motion failed in 2016 it finally passed unanimously, and Auckland is now joining the UN network. "This should result in changes that will make our neighbourhoods more inclusive for seniors, including accessibility of buildings, appropriate seating and more readable signage", says Anne-Marie. Lawn Bowls - Be part of the renaissance! Hang on a minute! Isn’t that a dull game played by old people? Well, it’s true that the game has been traditionally loved and enjoyed by our more senior members of society, but the perception of ‘geriatric marbles’ is now very much outdated, with the sport and its demographic rapidly changing. Bowls is now increasingly popular amongst the younger generations who are discovering an interesting, tactical sport that is highly social, great fun and which anyone can play. New formats of the game also make the sport appealing to those with busy lifestyles. 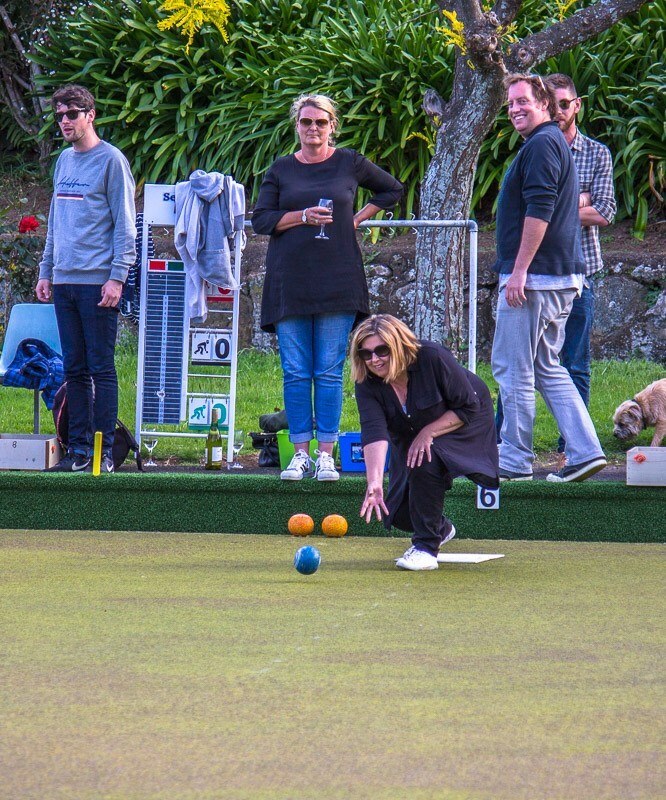 During October, clubs throughout Auckland are offering “Have A Go Days” where you are invited to get along to your local club to check out the club facilities, learn about bowls and have a go. Our local club, Blockhouse Bay Bowls, will be holding Have A Go days every Sunday during October. 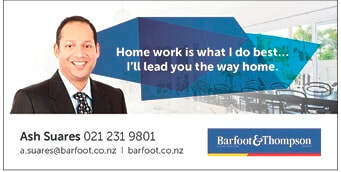 No need to book, simply turn up at the club, 33 Terry St, between 1-4pm, or just contact the club on 626 6450 or bhousebaybowls@xtra.co.nz and arrange to visit. All you need is a pair of flat shoes. So, try something new this summer, Have A Go at Lawn Bowls and let the good times roll! 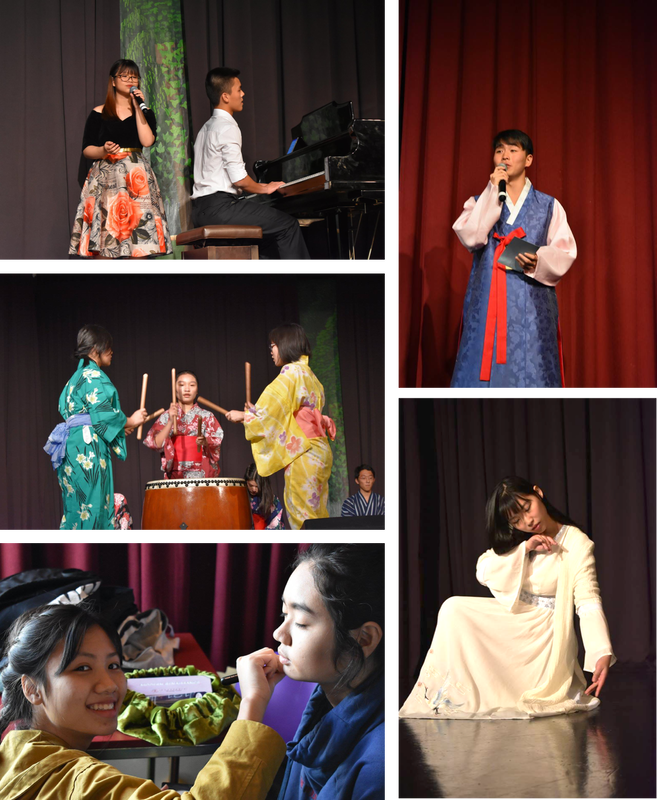 ​Since 2003, the Auckland International College (AIC) has showcased the considerable talents of its students in its annual Talent Show, with items including Japanese drums, mysterious instruments from China, and beautiful Korean and Vietnamese dance. This month, right here in Blockhouse Bay, the public can once again experience exotic performances born across the globe! A whole new line-up is planned this year, introducing for the first time a magical production, stand-up comedy show, and their drama club's own rendition of Shakespeare’s “A Midsummer Night’s Dream”. Another first is the haka: a performance to highlight respect for the local community as well as the school’s cultural integration into New Zealand. To cap it all off, a guest performance by champion ballroom dancer Aubry Ma and her teacher!